The library consist of ~1000 stars spanning a large range in atmospheric parameters. The spectra were obtained at the 2.5m INT telescope and cover the range 3525-7500 Å (Sánchez-Blázquez et al. 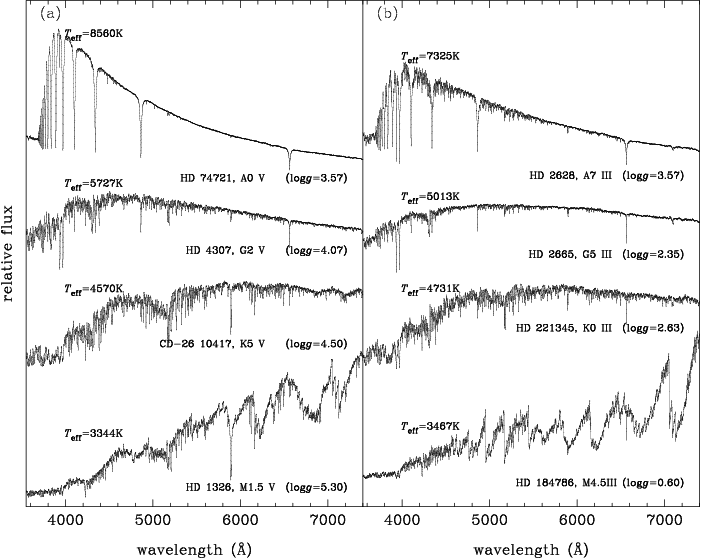 2006) at 2.5 Å (FWHM) spectral resolution (Falcón-Barroso et al. 2011). The shape of the continuum for the stellar spectra has been carefully calibrated. A subset of the library, flux-calibrated in absolute terms, is available upon request. The current version of the library (v9.1) present a number of improvements over the previous version (v9.0). We have corrected small errors in the radial velocities of some stars and re-assessed the spectral resolution of the library. The newly estimated resolution in 2.5 Å. See Falcón-Barroso et al. (2011) for details. The complete library is available as single tar files in ASCII and FITS formats.